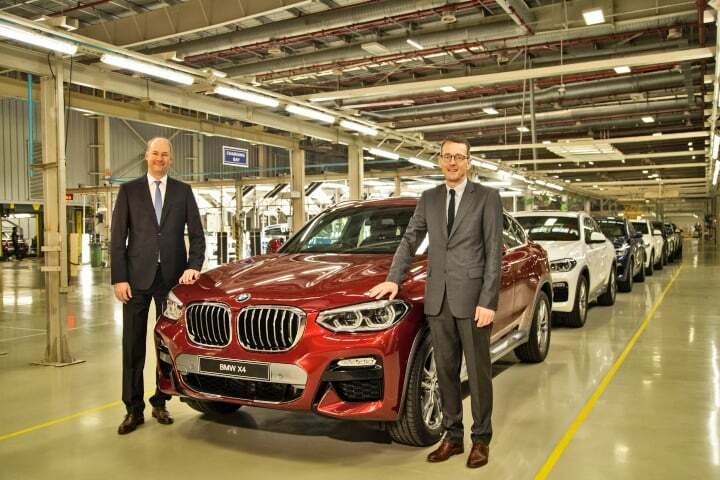 The all-new BMW X4 goes on sale in India with a petrol and two diesel engines available across three variants with the former being BS-VI complaint. BMW India has today launched the all-new X4 coupe in the Indian market. The premium coupe is available in a total of three different variants. It comes with a choice of both petrol as well as diesel powertrains. The interesting thing to note here is that the the X4 comes to India in its M Sports X design package. This design package has been introduced for the first time in our country. The base variant of the BMW X4 i.e. the xDrive20d MSport X is going to retail in India at an ex-showroom price of INR 60,60,000 Lakh. The mid-spec XDrive 30d MSport X trim will retail at INR 65,90,000 Lakh. The petrol derivative i.e. the xDrive 30i MSport X can be yours at INR 63,50,000 Lakh (ex-showroom). The BMW X4 comes with automaker’s Display Key through which the owner can keep in touch with their car round the clock. It also comes with a gesture control system through which you can control the infotainment system through a set of pre-defined hand movements. In addition to this, you also get a dedicated smartphone holder which also doubles up as the wireless charging station for your mobile phone. This coupe also comes with parking assist feature that allows hassle-free parking in tricky situations. The X4 comes with all-LED headlamps which offer anti-dazzle-high-beam headlight along with LED fog-lamps. The interior of this SUV-coupe offers a premium layout. It comes with sports seats up front. Other features include ambient lighting, panoramic sunroof mong others. The engine line-up of the BMW X4 consists of one petrol and two diesel engine. The petrol engine powering the xDrive30i trim is a BS-VI complaint, 4-cylinder unit which is capable of churning out 252 BHP along with 350 Nm of peak torque. The diesel engine available in the xDrive20d trim is a four-cylinder oil-burner that can produce 190 BHP along with 400 Nm of peak torque. The diesel engine available in the xDrive 30d is a six-cylinder unit capable of churning out 265 BHP along with 650 Nm of peak torque. The power is sent to the wheel by an 8-speed automatic transmission unit. All the variants of the X4 are available with BMW’s xDrive four-wheel drive technology. The coupe is available with some other electronic driving aids such as Auto Start-Stop, ECO PRO mode, Brake-Energy Regeneration, Electronic Power Steering, 50:50 Weight Distribution and many other innovative technologies. Using the Driving Experience Control switch, driver is able to choose between different driving modes (ECOPRO, COMFORT, SPORT/ SPORT+) to suit diverse driving conditions.